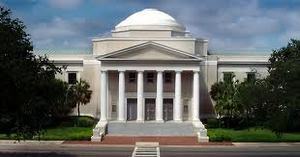 A 5-2 majority decision by the Florida Supreme Court in the case of Tiara Condominium Association v. Marsh & McLennan limits the legal principle known as the “economic loss rule” only to product liability cases, thereby allowing many claims for breach of contract in the state to be accompanied by tort claims of negligence. The ruling allows the association to proceed with its lawsuit seeking to recover approximately $50 million in damages from its insurance broker, which it claims knew the 42-story oceanfront tower on Singer Island in Palm Beach County was underinsured and failed to tell the association. Does the economic loss rule bar an insured’s suit against an insurance broker where the parties are in contractual privity with one another and the damages sought are solely for economic losses? The majority opinion found that the economic loss rule did not bar the community association’s lawsuit, and held that the economic loss rule only applies in the products liability context. The legal principle of the economic loss rule originated as a means of limiting potentially unbounded losses based on a customer’s expected profits from the use of a product that turned out to be defective. The most oft-cited case originating the rule involves a delivery company that sued a truck manufacturer for its lost profits resulting from a truck’s defects that caused it to cease functioning. The court ruled that damages for lost profits and for money paid on the purchase price were appropriate under breach of warranty. However, the delivery company could not pursue the same claim in tort since it suffered only economic loss. The court reasoned that contract law was best to resolve economic losses as the parties are able to negotiate remedies for nonperformance. Tort law was more appropriate to address personal injury and damage to other property. Each state addresses the economic loss rule differently and Florida, while initially expanding the economic loss rule, began limiting the economic loss rule to its principled origins. With this decision, the Florida Supreme Court has now returned the economic loss rule to its original application and has limited it to products liability cases. The dissenting opinion asserts that the majority expanded the use of “tort law at a cost to Florida’s contract law.” The number of tort claims will likely increase as a party may bring tort claims along with its breach of contract claim and recover remedies that may not otherwise be available under the contract. Our construction law attorneys write regularly in this blog about important business and legal matters for the construction industry in Florida, and we encourage industry followers to submit their email address in the subscription box at the top right of the blog in order to automatically receive all of our future articles.